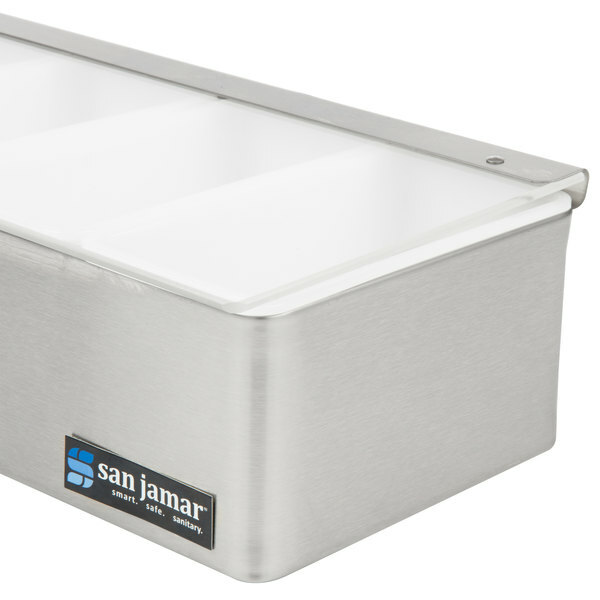 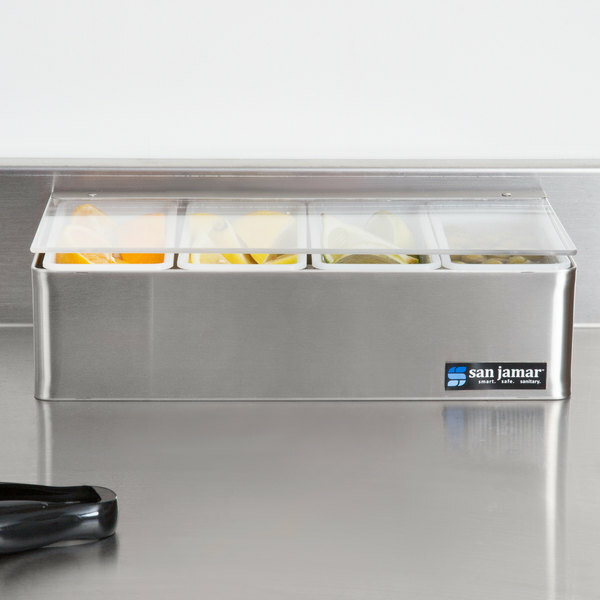 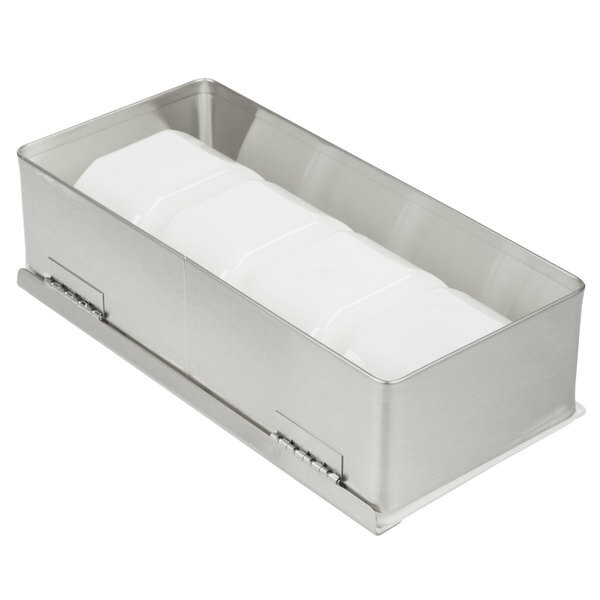 Keep condiments at your concession stand or garnishes at your bar fresh and easily accessible with this stainless steel San Jamar B4124L garnish tray! 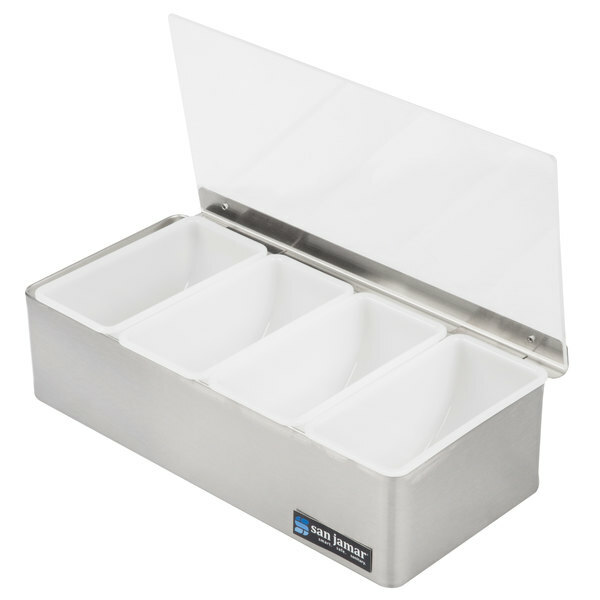 This garnish tray comes with (4) removable pint inserts that can be swapped out for replacement quart or pint inserts. 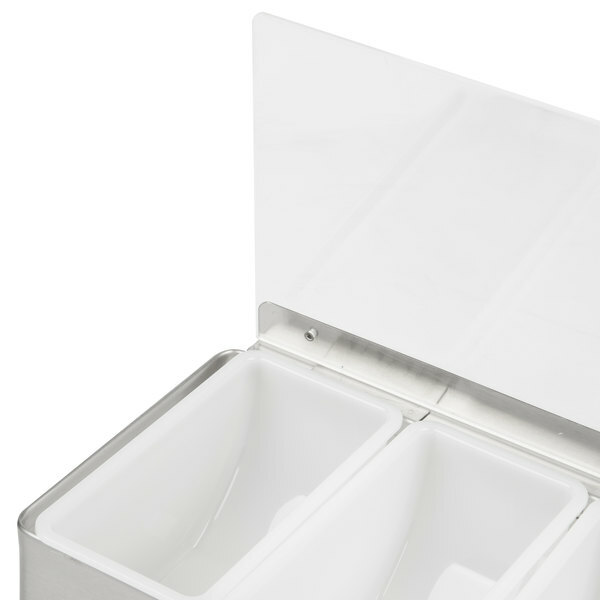 Their removability also makes it easier to clean. 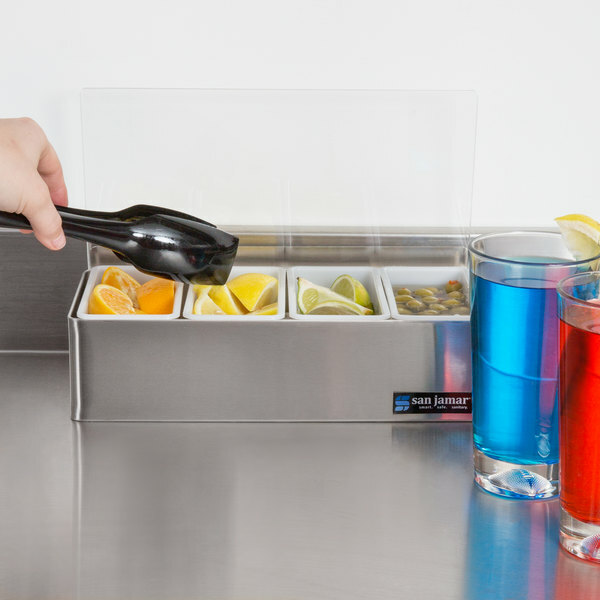 Store anything from olives, lemons, and limes to ketchup and mustard packets. 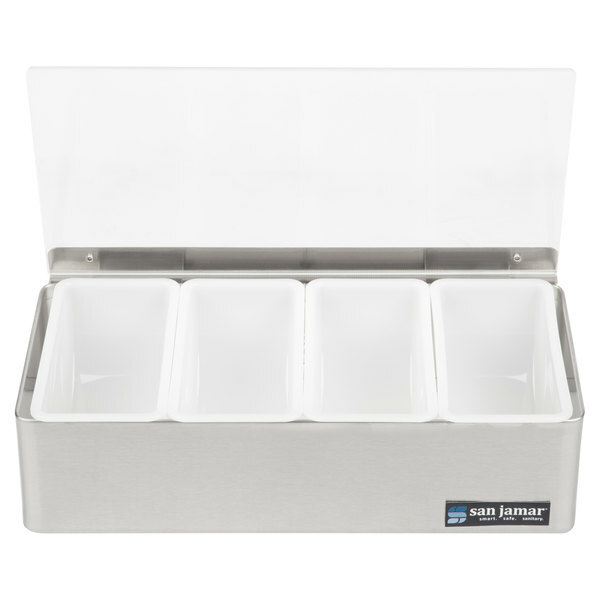 This is a great tray to use for my garnishes. 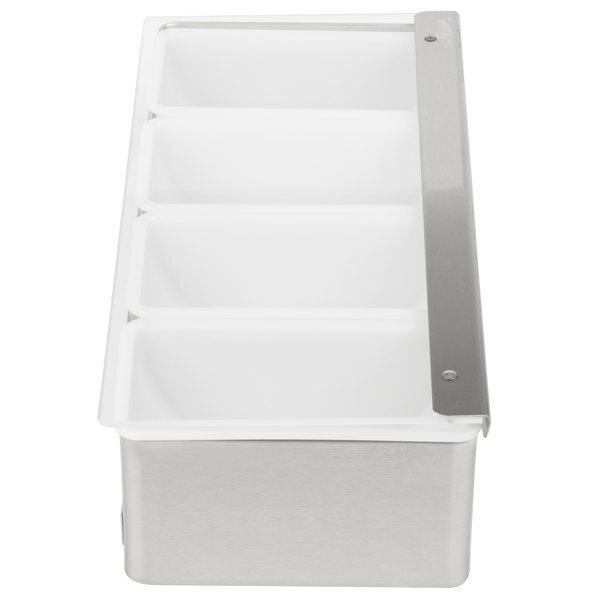 It's big enough to hold some herbs and lemon slices. 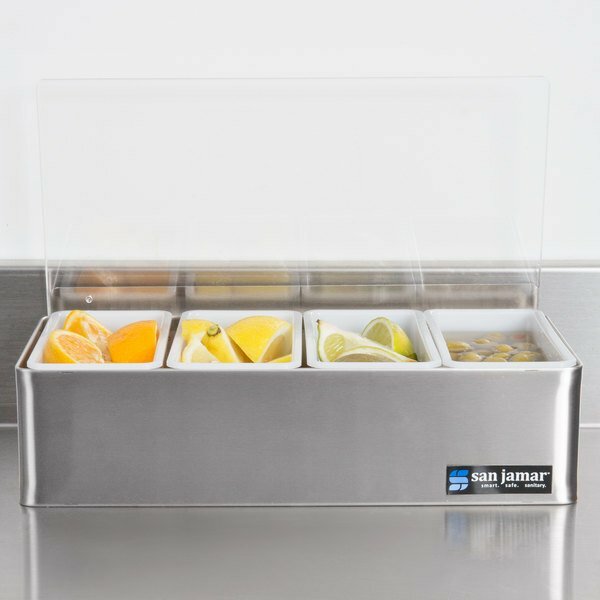 I like the clear lid and the durability.